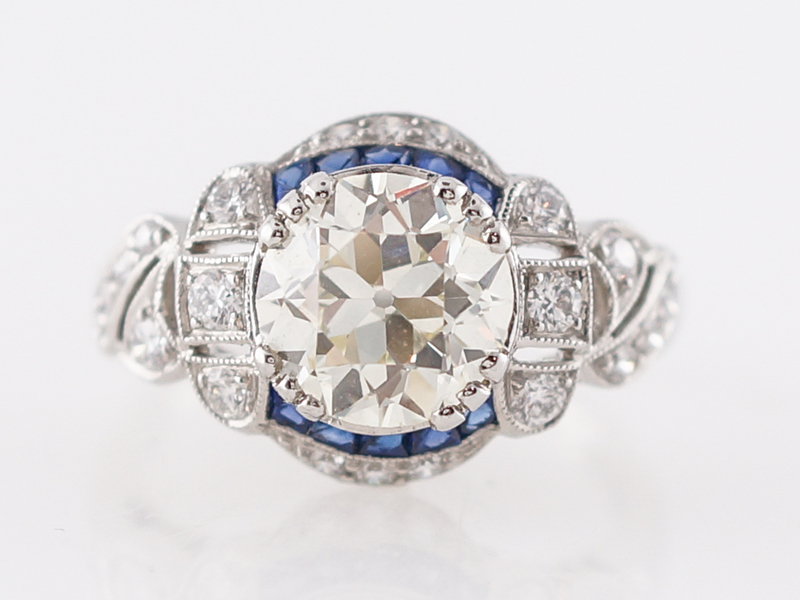 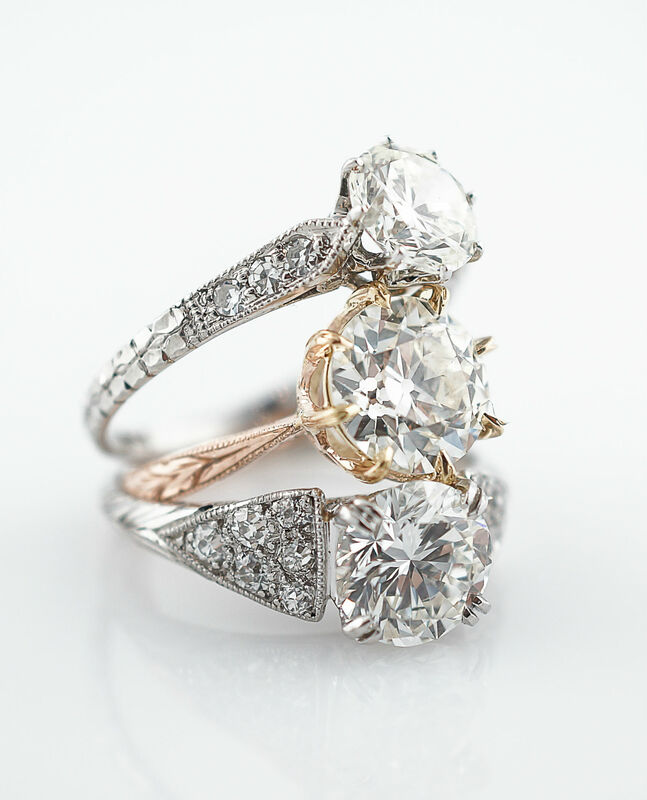 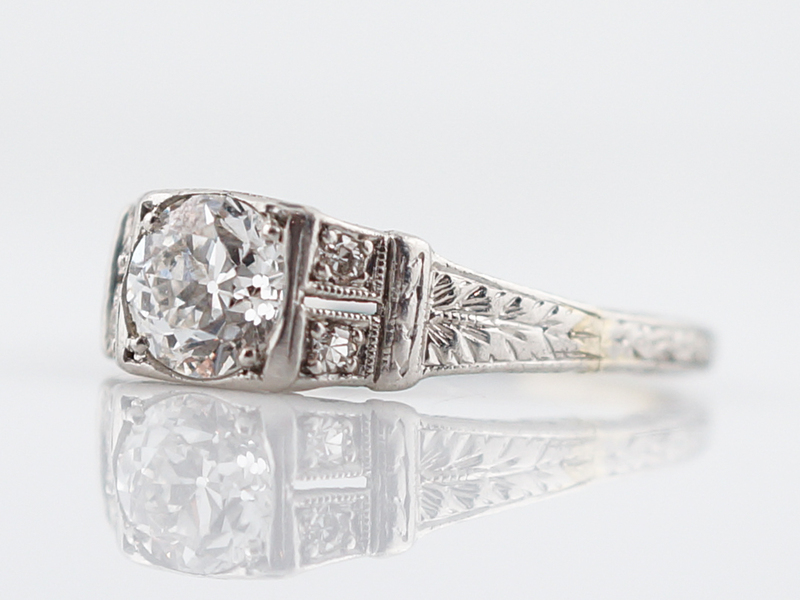 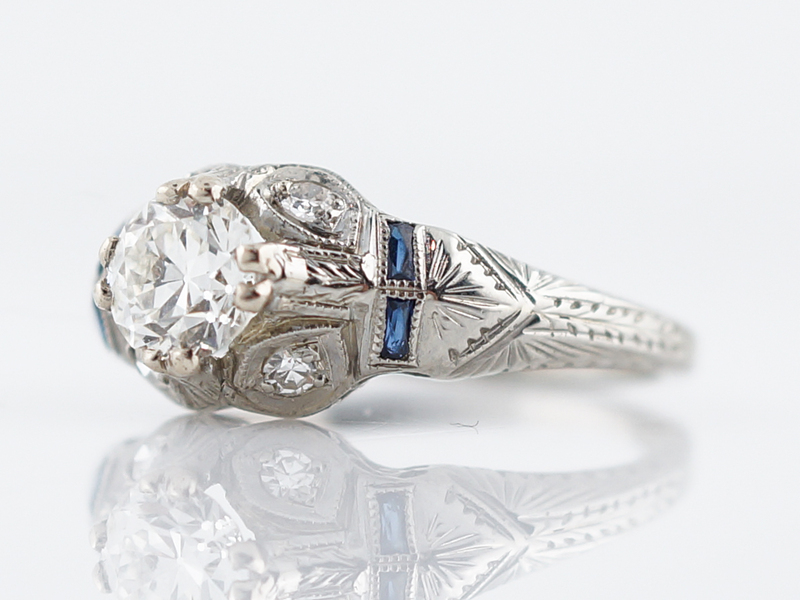 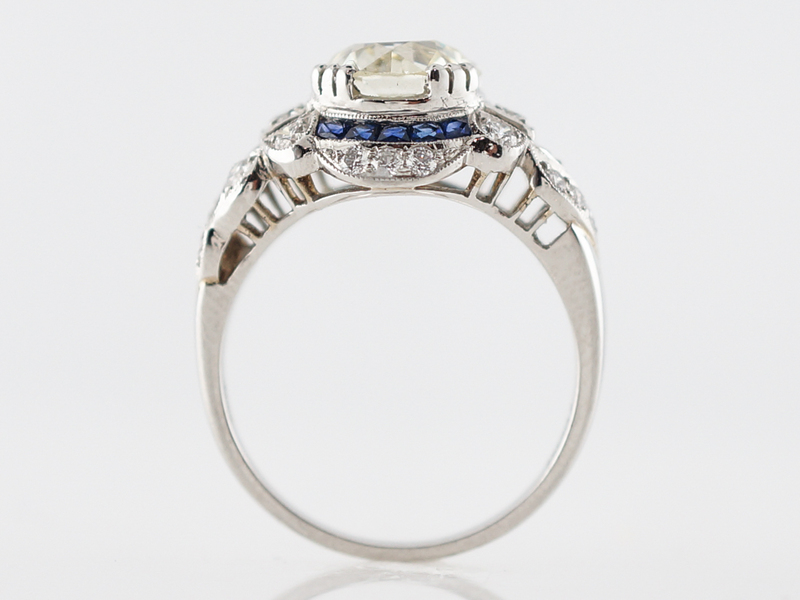 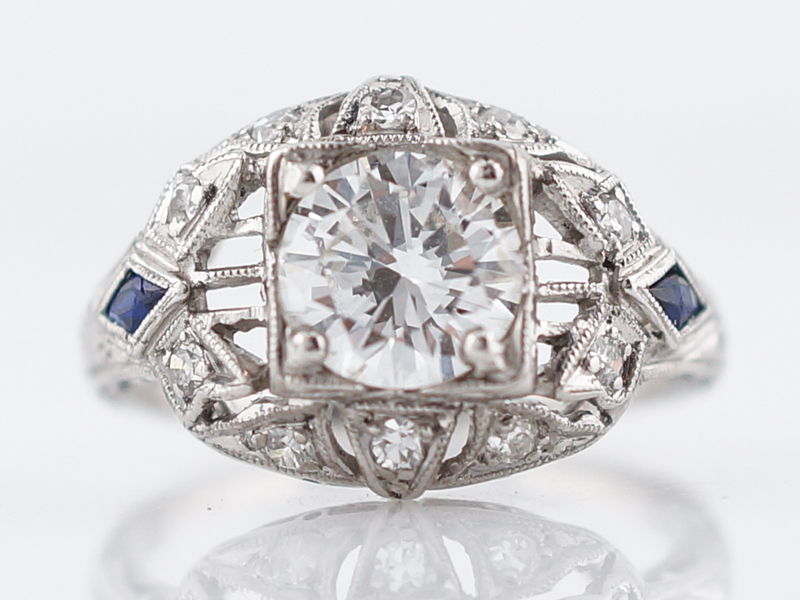 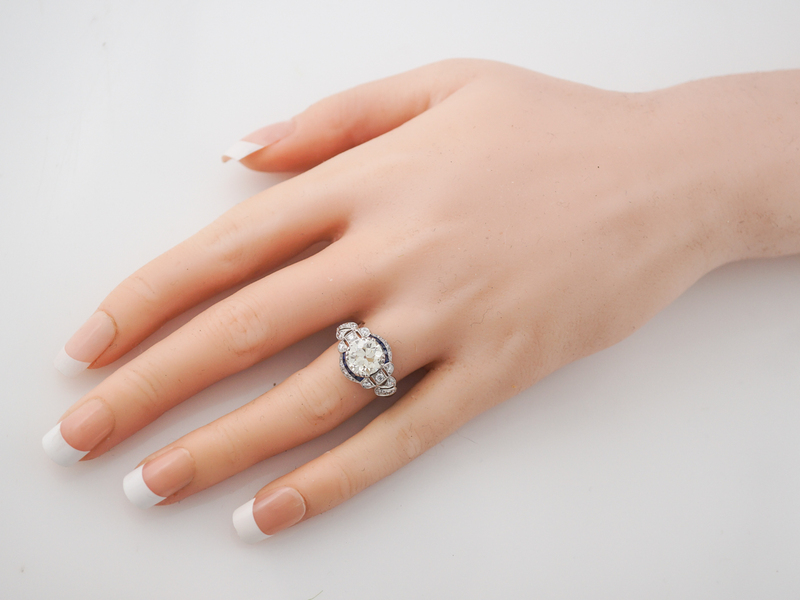 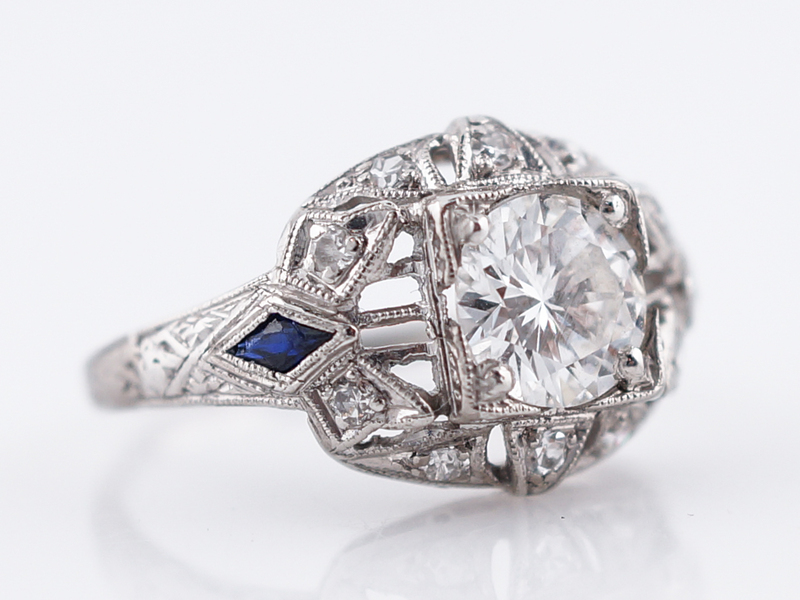 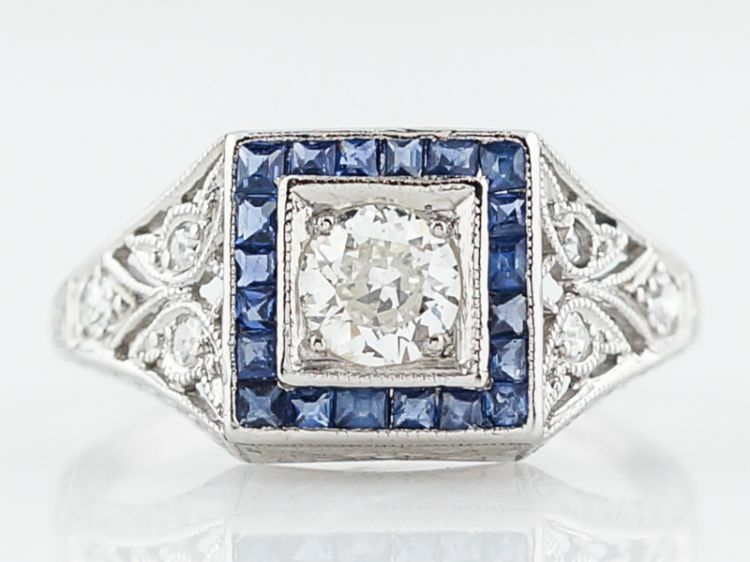 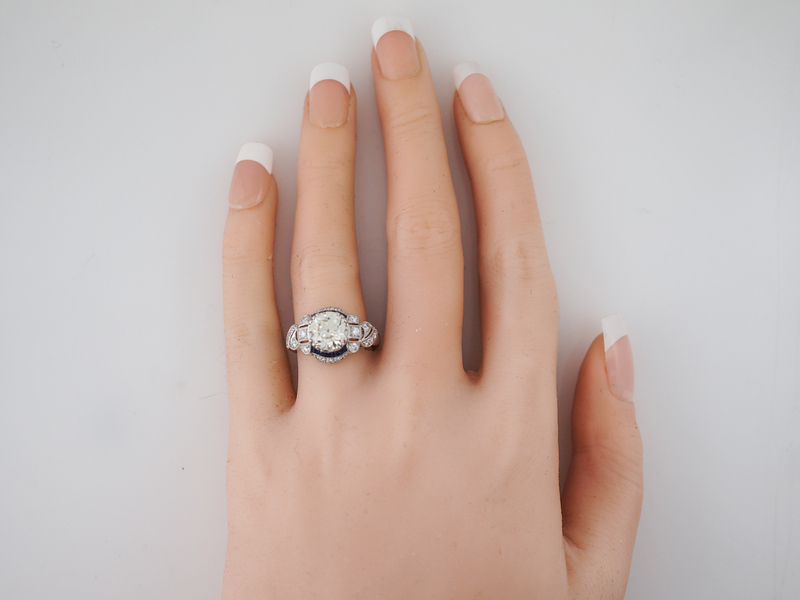 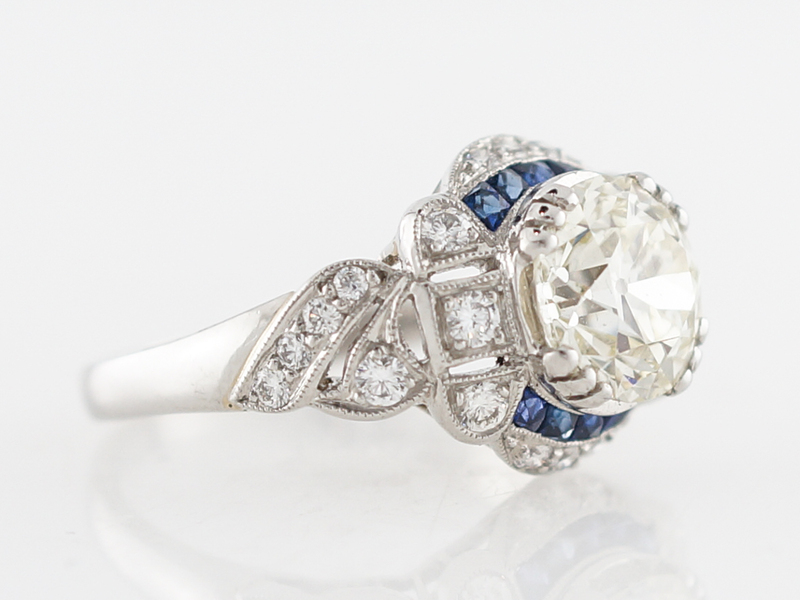 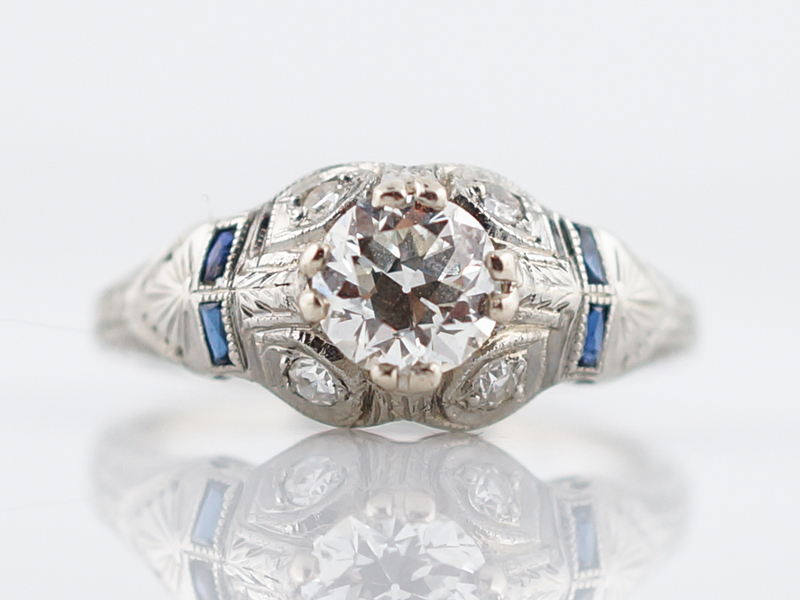 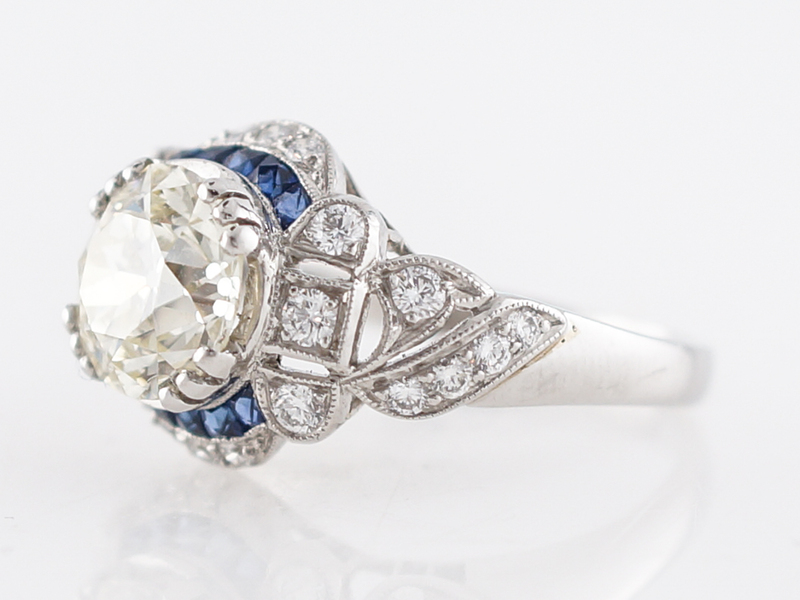 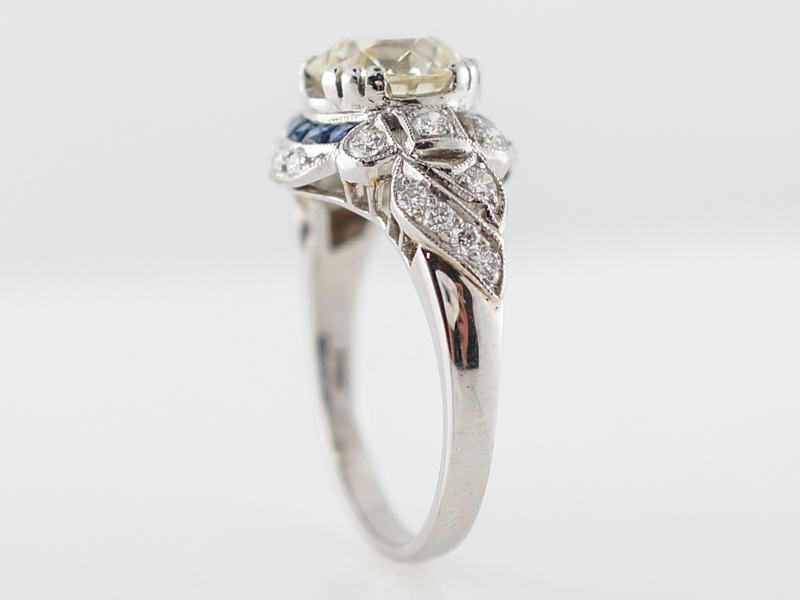 This modern engagement ring is reminiscent of an art deco style engagement ring. 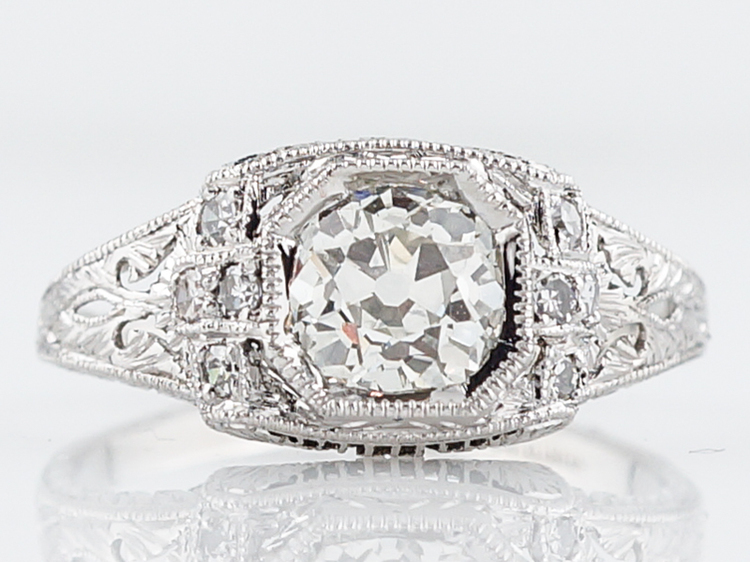 The center diamond is a 2.06 carat old European cut diamond held in place by claw style prongs. 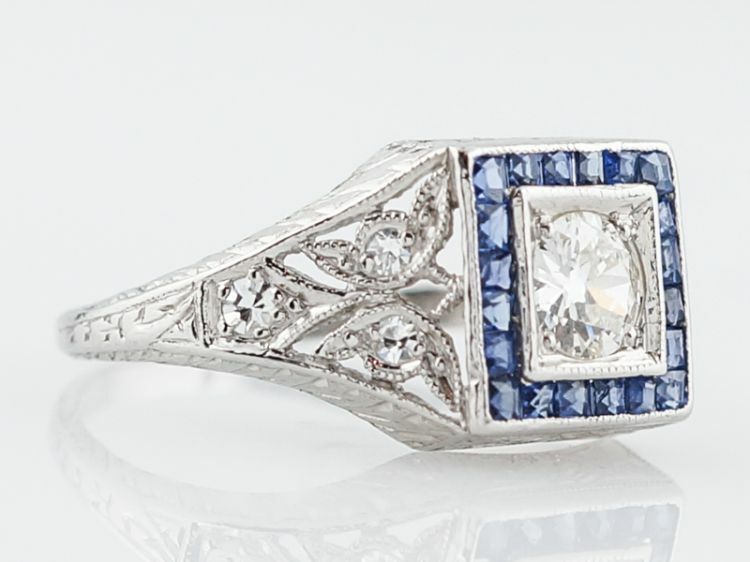 Accenting the diamond are French cut sapphires on each side that provide a beautiful splash of color. 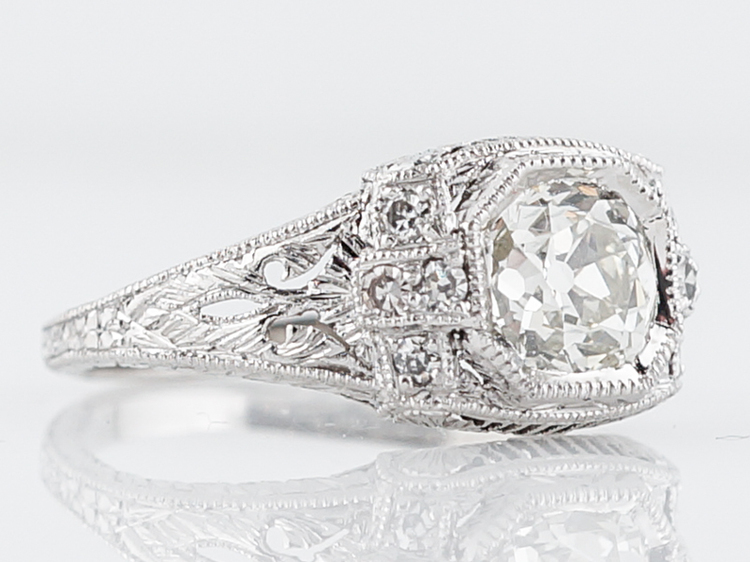 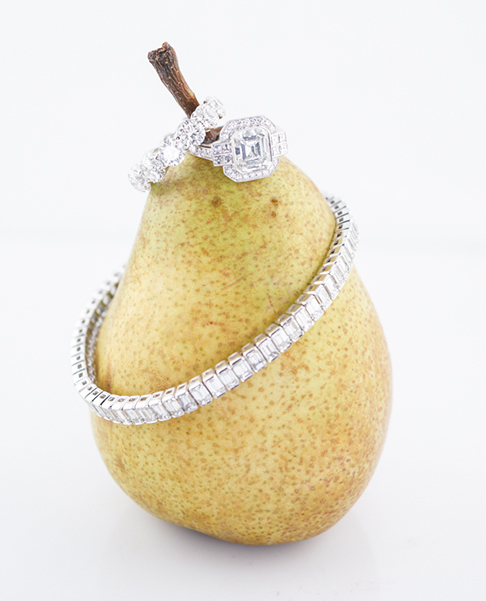 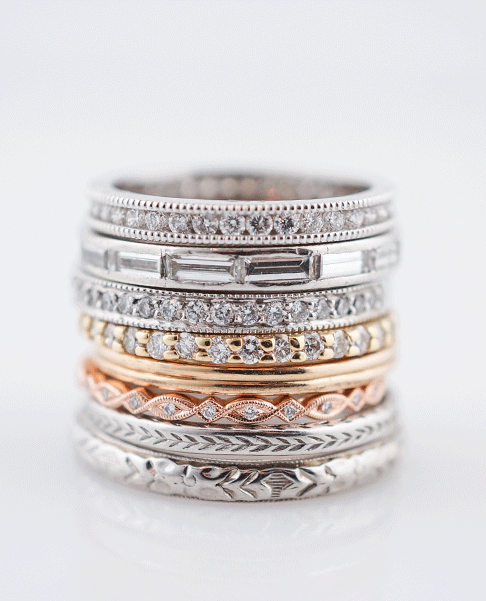 Additional diamonds adorn the shoulders of the ring and add life and sparkle from every angle. 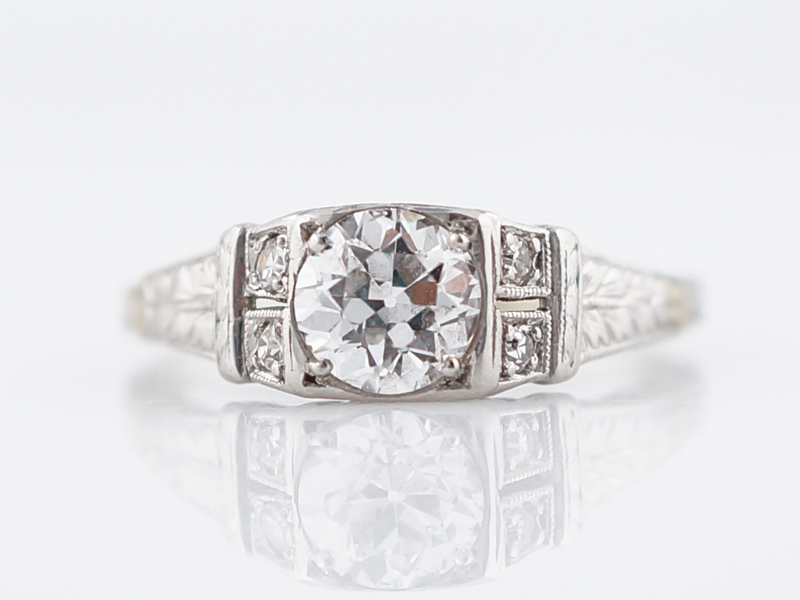 Finished in platinum, this modern masterpiece is sure to become a future classic!